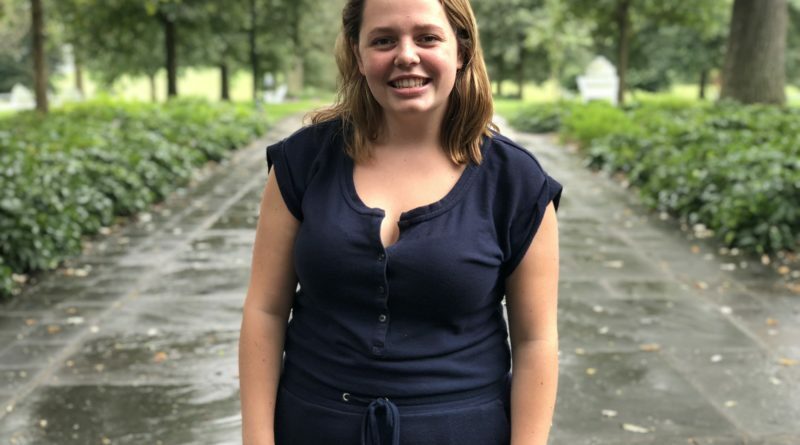 Josephine Ross ’21 and three other Swatties are involved in a new play, “Behold Her,” at the National Museum of American Jewish History in Philadelphia. The production, which sends the audience on a whirlwind tour of Jewish female history, began on Sept. 7th and runs until the 23rd. JUDITH: …I should have a whole religion named after me. ESTHER: Many Jewish women feel that way every day. And why is that? ESTHER: He who holds the pen writes history. JUDITH: I can fix that. And “Behold Her” does exactly that, with the help of many talented Swatties. First among them is Shuchman, who graduated with Highest Honors in Theater. She produces “Behold Her” and is one of the principal actors along with Saunders. The two switch characters each scene to portray a vast array of Jewish women, with expert accompaniment on violin, voice, and more from musician Charlotte Morris. Shuchman coincidentally met Arden Kass, the playwright, while at a theater, and the idea for the play came about as they talked about their experiences as Jewish women in the arts. A similar fortune and generosity of spirit led to Ross’s involvement in the production. Ross, a prospective honors theater major and special major in English and education, is heavily involved in theater on campus. 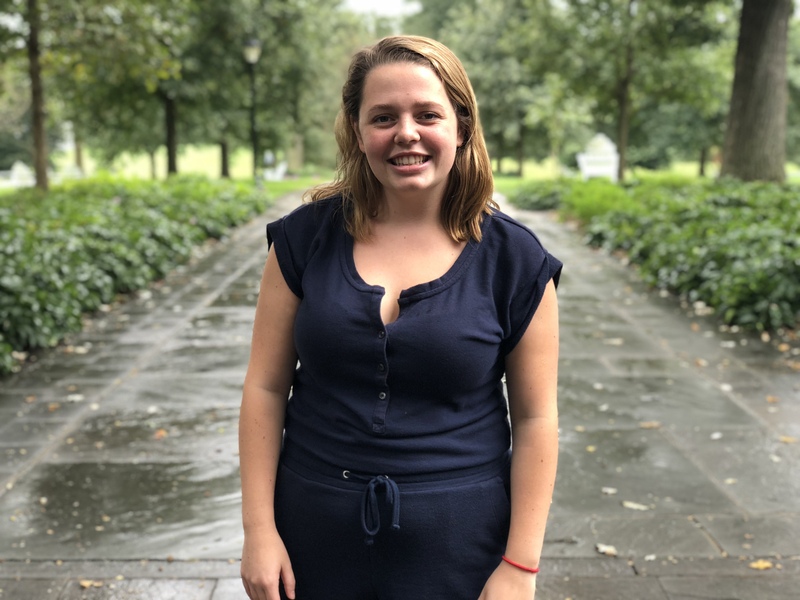 Last spring, she got in touch with Shuchman, and they met for a couple of hours, talking about their respective experiences with theater inside and outside of Swarthmore. “And she was like, ‘Oh my god, I need a small role filled for this show, would it be of interest for you?’” Ross recalled. Those Swatties also include Lila Swanson, the costumer designer and an Assistant Professor of Set Design and Costume Design, and Yoshi Nomura, the set and lighting designer, who graduated from Haverford in 2018 with a theater major at Swarthmore. But not everything was easy for Ross, who questioned how she fit into a production centered around Jewish culture. Shuchman and the director, Tori Mittelman, said that if she felt comfortable, they would be glad to have her, and Ross felt “extremely comfortable” after reading the script, because she related to the play’s themes of womanhood and beauty. The play also resonated with Jewish audience members. Rook Mogavero ’20 (they/them/theirs) was delighted by the production. “I did not necessarily feel myself reflected in this show, but I felt my mother reflected in it so much,” they said. Ross herself had a lot of fun but also learned valuable lessons from her experience. Ross will take other lessons from “Behold Her” this semester as she directs “Love Letters” here at Swarthmore for Drama Board, a group she is also coordinating. “Behold Her,” for one, clearly disrupts those dynamics — and does so with joy and heart. For more information about the play or to book tickets for this weekend’s performances, visit https://fringearts.com/event/behold-her-15/.